Get Ready To Sing, Dance and…Roll Some Dice! The Duel is back! 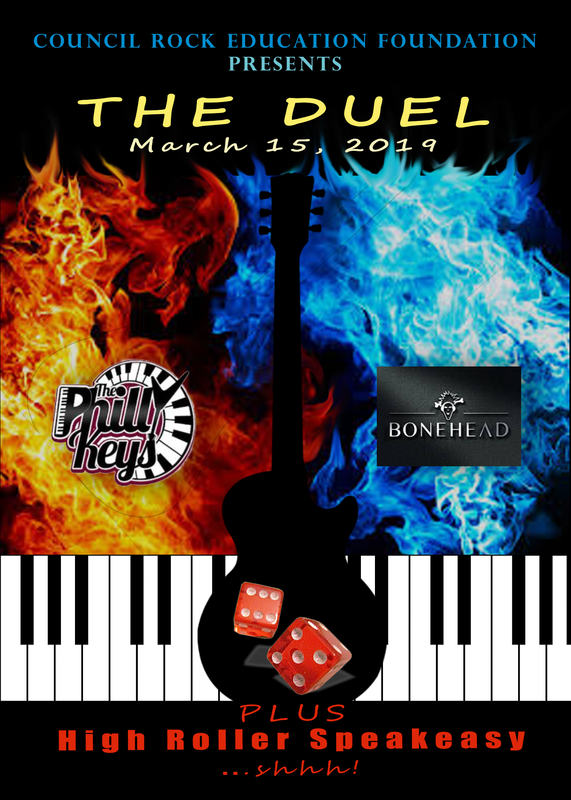 Gather a table of friends and join us for a fabulous night of food, spirits, silent auction items and entertainment with The Philly Keys dueling pianos and a special guest performance by BONEHEAD at the FUGE – Friday, March 15 from 7 PM until midnight. PLUS, this year we’ve added a High Roller Speakeasy for fun, and a bourbon bar. Proceeds go to support innovative K – 12 S.T.E.A.M. projects, not covered by the annual school budget, that engage children, spark their imagination and develops their life-long passion for learning through the Council Rock Education Foundation.